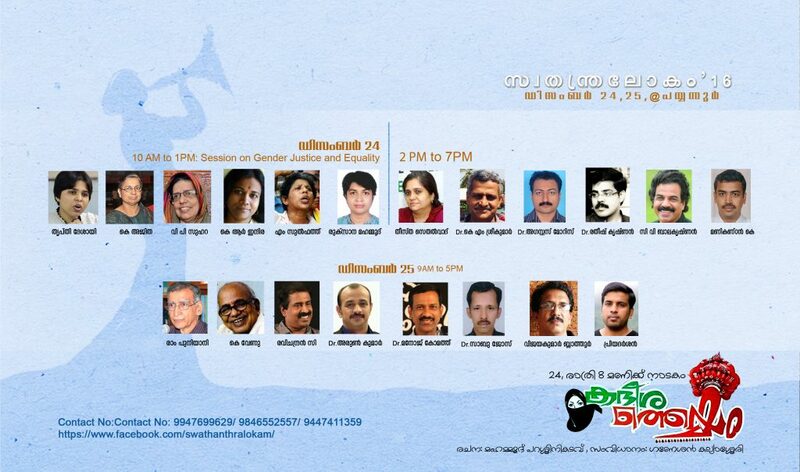 Rational Thoughts - Voice of Atheists in Kerala, India. Dogma is a major factor that leads to a theology of separation. We all have access to a Natural Moral Code predating any man-made religious magical and superstitious beliefs. However, we interpret universal moral codes the way we experience life. Universal moral codes are interpreted by a human nature that includes solipsism and a collective ethnosolipsism. Religions are man-made interpretation of nature-made universal moral codes based on their experience of Nature and human nature. Religions develop intractable dogmas, doctrines, and religious fiats to conceptualize and compartmentalize their ideological interpreted beliefs. 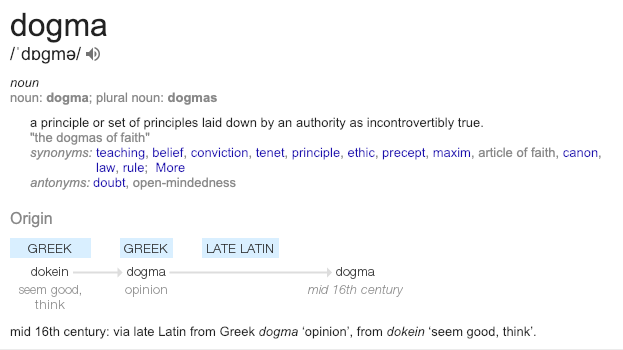 Sometimes dogmas conform to Nature but often they don’t. Religions have their unsavory facile dogma, doctrine, fiats, and precepts that are no more than parodic exaggerated diktats. Each religion teaches a triumphalism that makes their authoritative diktats superior to all others. Fideism involves a piety (devotion) to religious duties, no matter the consequences. Fideism is early Limbic Brain rooted belief brainwashing. Early rooted belief fideistic followers have a supplicatory obeisance to baseless man-made dogma. Fideists are supportive of religious dogma that has whipped them into a frenzy of superiority as the “chosen ones.” Fideism is a symbiotic and parasitic relationship with rigoristic dogmatic fanaticism. Fideists include those lackeys who are “born again” and have unfortunately become locked into a restrictive and repressive fundamentalist dogma. Those claiming to be born again are stuck at best at a basic level of balance, concrete operational thinking, and a Level I Morality —> fear of punishment and hellfire. The above is an excerpt from Chapter 19, “The Great Mysteries”, from my book, Balance- ology: The 4 M’s of motivation, meaning, measurement, mitigation. In this excerpt, I try to make a case that all forms of dogma are a strike at the very heart of rational thought. Al Wm. Johnson, PhD #Balanceology.blog. Intellectual honesty is at the core of the skeptics movement, Lee Beaumont have created a course on the topic. It is freely available on-line. Use the below link to get access. Rationalthoughts Congratulate the MES Ponnani College Magazine Team, Principal and Management for making this magazine a reality. Creator of the Why do people laugh at creationists? series of videos, various science/astronomy videos, along with videos documenting his humiliation of VenomFangX. Pro-science and critical thinking videos. Is a molecular biologist. Created the Learning to Think Critically series. The Richard Dawkins Foundation. Lectures, documentaries and interviews by Richard Dawkins. British stand-up comedian Pat Condell, with almost 150,000 followers (as of March 2011). Various atheist and science videos, including more than hundred (as of June 2009) excerpts from The Atheist Experience*. Brett Keane, very active creator of various atheist videos, often calling pastors and churches asking tough questions in a civil manner. Creator of the Foundational Falsehood of Creationism series of videos. Creator of the From Big Bang to Us – Made Easy series of videos. Also has another account, potholer54debunks for protection from digital millennium copyright act abuse, which acts as a backup channel. Creates parodies of creationist videos which are sometimes mistaken for the real thing – see Poe’s law. “Mrs. Betty Bowers, America’s best Christian.” Christian satire. Goes through creationist videos, such as those of Kent Hovind, and debunks their claims step by step. Many pro-evolution videos and creationist criticism. God “behind the scenes” brilliant sketch comedy. Animated comedy demonstrating absurdities of Christianity. #10 most subscribed of all time from the UK. Former Christian who uses “satire, research and some common sense” to explore questions about God. Like QualiaSoup, uses graphics and animation accompanied by narration. Creator of “Instruction Manual for Life”, a sort of parable about being raised in the church. Commentary on morality and the psychology of religion. Ten-part Psychology of Belief Series. Scientific theory and criticism of creationism. Creator of the Holy Hallucinations series. See also The Living Dinosaur website. Former Christian who actually started making videos while he was a Christian. Interesting channel as viewers can see his transition over a few years from Christian to deist to atheist. Religious commentary and refutations of various pieces of Christian media. Informative videos many of which are lists of things Christians should or shouldn’t do when talking to atheists. Debunking of religious videos on Youtube. The James Randi Educational Foundation. Videos where James “The Amazing” Randi talks about various topics related to skepticism and critical thinking + debunks various forms of superstition. സ്വതന്ത്ര ചിന്തകരുടെയും , യുക്തിവാദികളുടെയും , വിവിധ കൂട്ടായ്മകളുടെ സംയുക്ത ആഭിമുഖ്യത്തിൽ 2012 മുതൽ നടന്നു വരുന്ന വാർഷിക സംഗമമാണ് സ്വതന്ത്രലോകം . ശാസ്ത്രീയ സമൂഹ്യ വിഷയങ്ങളെക്കുറിച്ചുള്ള പ്രഭാഷണങ്ങളും ചർച്ചകളുമാണ് സ്വതന്ത്ര ലോകത്തിന്റെ പ്രത്യേകത. 2012 ൽ മലപ്പുറത്തും , 2013 ൽ കോഴിക്കോടും , 2014ൽ പാലക്കാടും, 2015ൽ തിരുവനന്തപുരത്തും നടന്ന സ്വതന്ത്രലോകം ഈ വർഷം നടക്കുന്നത് Dec 24 & 25ന് കണ്ണൂരിലെ പയ്യന്നൂരിലാണ് . എല്ലാവരെയും കുടുംബസമേതം ഈ സംഗമത്തിലേക്ക് സ്വാഗതം ചെയ്യുന്നതോടപ്പം , യാത്രയ്ക്കാവശ്യമായ ബുക്കിങ്ങ് ഉടൻ ചെയ്യുവാൻ അദ്യർത്ഥിക്കുന്നു. Registration Time : 2016, Dec 24, 9 am onwards. The talk focuses on the fundamental rights and freedoms guaranteed by the Indian Constitution and their stark realities in the contemporary times. The session starts with an introduction to the concept of social contract theory and its relevance in keeping the fundamental rights protected in constitutions all over the world. After highlighting a few instances of tug of war between the power of the state and the citizens’ rights, it dwells upon the various crucial rights that are of prime importance in this century. First discussed was the freedom of thought, with reasons being stated for the need to incorporate the concept in the Indian constitutional jurisprudence to protect the minority in a majoritarian regime. Then right to freedom of expression was elaborated upon in the context of sedition laws of the state. The session also dealt with Sabarimala women’s entry issue and the right to practice and profess one’s religion. Touching on the contemporary topics like intolerance, beef consumption, JNU and their constitutional position, the session ends by noting how democracy in its true sense still remains to be a dream or an aspiration rather than a reality. 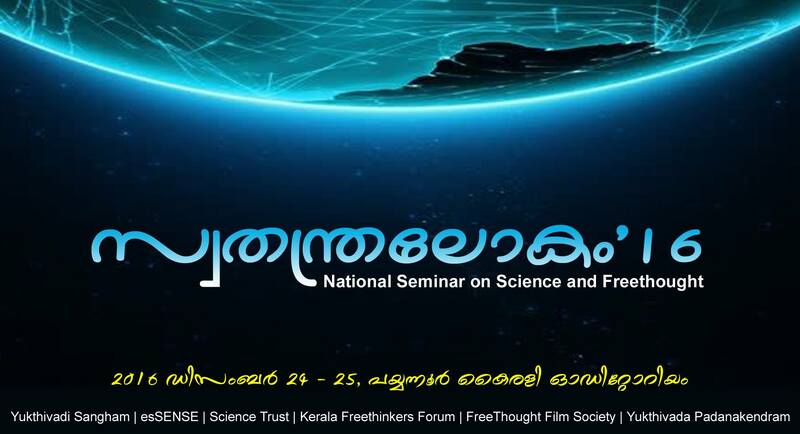 Rationalism and electoral politics: Presented at the meeting of Yukthivadi Sangham at Thathamangalam, Kerala on 1st May , 2016: In this presentation, Dr.Viswanathan addresses certain core issues concerning rationalist activism raised by certain people in the context of upcoming assembly elections in Kerala. The assertion that such activism has crucial political significance was challanged by critics. It was alleged that rationalists do not “understand how caste system works”, and that their alleged (in fact nonexistant) indifference to electoral politics is counter productive. “Identity politics” of various groups in society with an aim to uphold each group’s “interests” was advocated by one critic, condemning rationalists. Story of Astrology (ജ്യോതിഷത്തിന്റെ കഥ) Was a study class as part if the programme organized by Yukthivadi Sangham (Palakkad) at Govt. UP Scholl Tattamangalam, Palakkad on 1st May, 2016 delivered by Prof. K. Papooty, a science writer and teacher. This video was shot during that session. Astrology, he says, began from our need for timekeeping. The ability to record and predict the cycle of weather was pivotal in agricultral societies. Unlike what many would say, Astrology was not discovered in India. Babylonia is noted in history as the origin of Astrology. The observation of the cycle of moon and sun gave origin to the concept of month and year. Stars were assgined to particular day of the month: the prominent star in the arc of sky where the moon moves thorugh in that day. All those technical terms were used to confuse and amaze people. Since astrologers were able to predict the weather, they claimed they could predict personal futures. The history of how it came to India and how we know is discussed too.